Today in cities around the world people are mobilizing ideas to foster change. From the “indignados” in Madrid, to the Occupy Wall Street movement in New York to the massive mobilizations in the Avenida Paulista in São Paulo, citizens want to change governments and policies to build better cities and societies. How can we transform this energy into real change for our cities? At the moment, these mobilizations have included bitter critiques, strikes and violent rebellions as seen in the Arab Spring; yet, few if any have resulted in constructive transformations. This is why we should rethink the way these actions are producing change based fundamentally upon a magic weapon: creativity. These methods are referred as tactical urbanism or placemaking. From planting new gardens in cities, to painting bike paths and pedestrian spaces, tactical urbanism is transforming the way we think, build and improve cities. Through the use of art and free unattached creativity, these citizens are changing paradigms and building new public spaces for their societies. In 2008, Haas and Han from Amsterdam arrived to Rio de Janeiro to start a project that would give a new perspective to the favelas. Using paint and community participation, these artists transformed a sector of the Santa Marta Favela landscape, by “simply” painting the houses with colors. With the Favela Painting Project they wanted to “create a voice for the inhabitants, influence public opinion and media” and “help bridge social gaps”. Thanks to a recent crowdfunding campaign in kickstarter last year, they aim at painting an entire favela in Rio during 2014. Not only can a few strokes of paint transform a favela, but also develop new patterns of thinking that help locals move in a sustainable way. From the academia and urban experience we know that pedestrians must have priority in cities. However, in many cities walking is an extreme and dangerous adventure. According to the World Health Organization, every year more than 270 thousand pedestrians are killed in traffic accidents. This means that more than 5.000 pedestrians are killed every week. So what can citizens do to make walking safer? In Colombia a group of activist in Bogotá created an initiative called Cebras Por La Vida “Crosswalks for Life” to make walking safer. 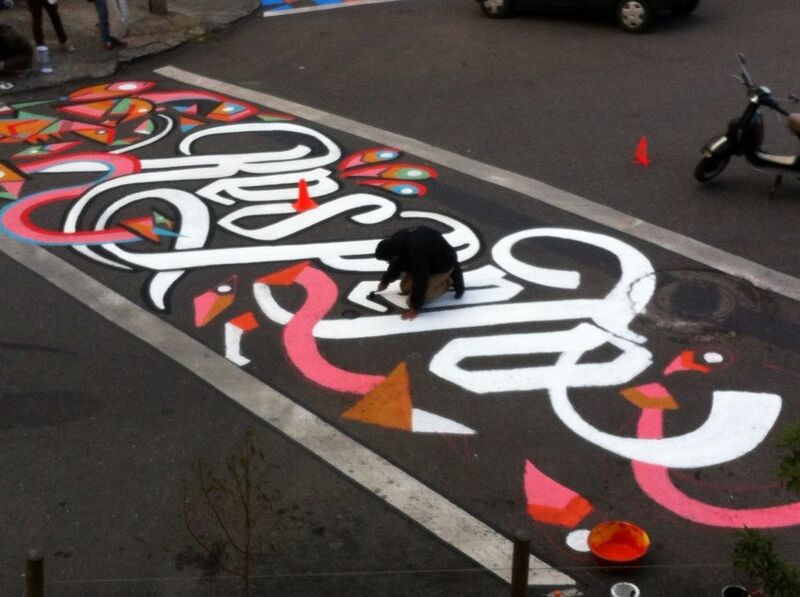 They invited students from public schools to paint colorful crosswalks to protect pedestrians. Using colors they are giving the pedestrians more visibility and priority in the streets. 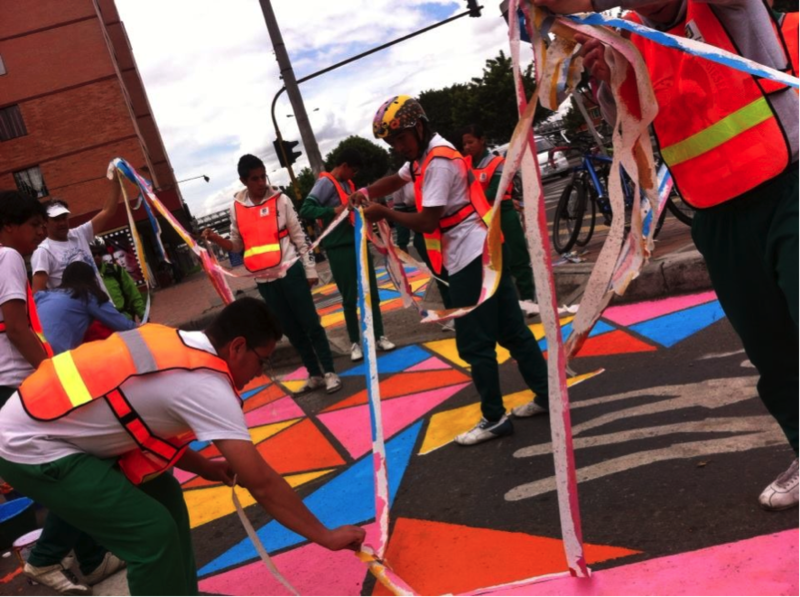 Germán Sarmiento, one of the leaders of the project, says “we need to make pedestrian crossings visible again and there is no better way to do it than with color and art”. These mechanisms of improving cities through art are used today not only by citizens but also by their governments to enhance public space. 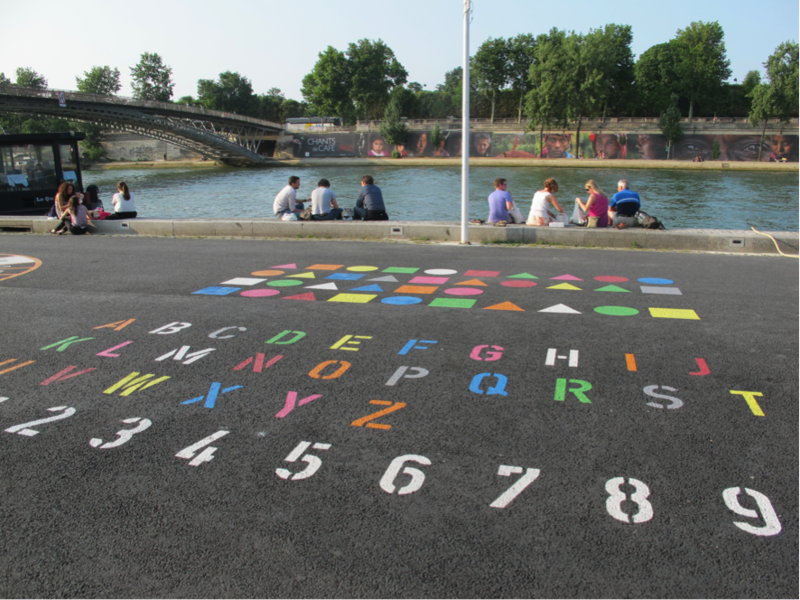 A recent example of this is the recently inaugurated Les Berges de Seine project in Paris that transformed a highway near the river into a pedestrian boulevard with open space for culture, recreation and art. Paris has been in the radar for several years for its well-known innovative project such as the bike share system Vélib. Nevertheless the Berges de Seine project introduces a new way that governments use creativity to bring new public space to the city. 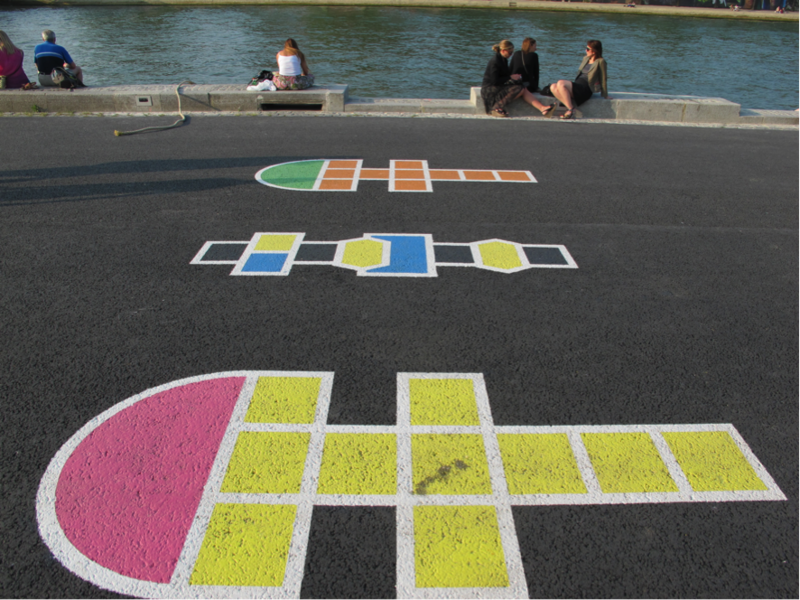 For the Berges de Seine the municipality didn’t construct a new large regeneration infrastructure. They just closed the highway, introduced some basic infrastructure and painted the roads to make it a large playground. These mobilizations of ideas armed with nothing but paint, show us that creativity can be a powerful tool to transform the urban landscape. Using art, groups of citizens all over the world are making visible, what previously used to be invisible, while fostering better cities. Governments can change highways into public space for recreation and we can build participatory mechanisms in cities to bring people together. What other methods have you seen in cities that turn ideas into actions through creativity? What actions are you willing to undertake to make your city better? You’re right Juan Manuel. Citizen culture is difficult to develop, and especially Latin American cities are just catching up… We go around just allowing others to make decisions for us, like if our individual ideas couldn’t transform reality. Action, within legality, is the answer! Cities are ours, the citizens’, so we are entitled to direct them into better places to live in. Why waiting for others to do so? So many ideas, so many people who care, so many improvement potential… to just wait until they go through cumbersome and bureaucratic processes?? small thing: I would not want to see a wide-spread adoption of ‘creative/artistic’ pedestrian crossing graphics without a rigorous assessment of safety impacts. I believe there is a reason for the traditional ‘zebra stripe’: hard-edged, high contrast stripes mean a moving object will stand out regardless of its color; while crazy colors and unique shapes are more likely to camouflage pedestrians, reducing safety.